The islands are a popular destination for Western tourists looking for a remote island experience. Each island has several very small resorts, usually consisting of a small collection of huts for tourists, and a restaurant. Most local inhabitants live on Trawangan in a township stretching along its east side just inland (which is also where most recent development is taking place). The islands are a popular destination for Western tourists looking for a remote island experience. Each island has several very small resorts, usually consisting of a small collection of huts for tourists, and a restaurant. Most local inhabitants live on Trawangan in a township stretching along its east side just inland (which is also where most recent development is taking place). Automobiles and motorized traffic are prohibited on the islands by local ordinance, so the preferred method of transportation is bicycle or the horse-drawn carriage called a cidomo. Diving in and around the Gilis is also popular due to the abundance of fish life and attractive coral formations. The name “Gili Islands” is a misnomer, because Gili simply means “small island” in Sasak. As a result most of the islands around the coast of Lombok have Gili in their names. The Gilis are noticeably drier and hotter than Lombok, but evenings can still be cool and refreshing. The rainy season is roughly from November to April, but it rains much less than on Bali. The peak tourist seasons are July-August and December-January. In a rare display of foresight, all forms of motorized transport are banned from the islands: your only choice is horse-drawn carts, known as cidomo, which are used even to shuttle around diving gear. 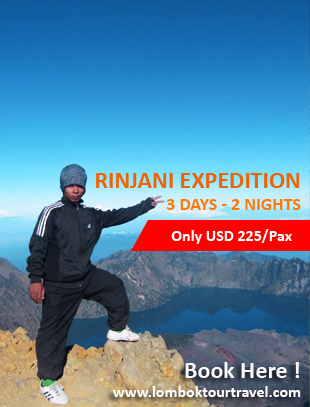 The price for visitors is Rp 20,000-30,000 per head for any trip, although it varies per island and per season. However, as the islands are only a few km in diameter, it’s entirely possible to just walk instead. Bikes are available for rent and the main tracks are good enough for riding, at least on Gili Trawangan. Traveling between the islands requires either catching the infrequent scheduled public shuttle boats, or chartering one to take you across. You can buy tickets from the ticket offices on each island from where the boats depart. Booking through a travel agent just costs more, and you still need to change the reservation to an actual ticket at the very same counter. The distances between the islands may seem swimmable, but do not attempt it — the currents are fierce and several foolish visitors have died trying.